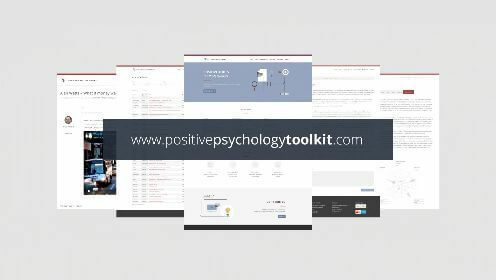 Positive Psychology has shown how positive emotions are linked with numerous benefits including improved health, wellbeing, longevity, and a greater quality of life. On the flip side anger, anxiety, depression, and worry are related to poor health outcomes. Our genes are responsible for about 50% of our happiness levels, our actions and attitudes account for 40% or our happiness. So if our choices and attitudes have a significant impact in our happiness, how do we cultivate and maintain a state of positivity and well-being in the workplace? Positive psychology can be used in many different ways to increase happiness and satisfaction within the workforce. Given that we spend on average half of our waking hours at work, many organizations and business leaders are increasingly starting to acknowledge that utilizing psychological techniques and know-how in the workplace is imperative. Over the last 15 years this growing field of Positive Psychology, pioneered by Professor Martin Seligman (University of Pennsylvania), has developed an evidence based model for the active ingredients of wellbeing known as PERMA; Positive emotions, Engagement, Relationships, Meaning and Accomplishment. So how can PERMA improve workplaces? People thrive when they are happier. When mood becomes brighter we set higher goals and persist longer towards them. We experience less stress and fatigue, and show better team cooperation and problem solving. But how do we make people happier? Brain scans show that when subjects are instructed to count their blessings there is increased activity in the part of the brain associated with happiness. So although it’s difficult to force feelings of happiness when we cultivate a ‘grateful mindset’ our happiness is coming along for the ride. Some organizations have adapted these ideas in innovative ways. For example, by listing ‘appreciations’ as a standing agenda item at the beginning of staff meetings, individuals can be invited to nominate someone, or something for which they are grateful. Science shows us the greatest way to influence our happiness is to invest in our relationships. Evolution has ensured our survival is tied to our skills to connect with others. Our brains are literally wired to connect. These connections have the power to affect how we feel. According to the body of research on happiness, our moods are quite literally contagious. This happens because of mirror neurons in our brains. If our colleague starts celebrating next to us the cells in our own brain that would fire when we’re engaged in similar behavior light up. We are wired to connect with those around us and to understand their feelings and intentions. In a recent survey by Virgin almost 40 percent of the respondents named their colleagues as the top reason they enjoy their work. Furthermore, over two thirds of respondents reported that not only did those positive relationships increase their productivity, but it helped mitigate stressful and difficult challenges at work. The centrality of the relationship between our social connections and our internal happiness cannot be overstated. So get to know the person sitting next to you a little better. Make an effort to eat lunch in the canteen. Organize a get together with your colleagues after work and get to know the people you are spending so much time with. Crabtree goes on to say that this is perhaps the best tool he has come across for building trust and understanding in a team quickly. As a manager or team leader you need to be aware of how contagious positivity and negativity can be. Be aware of the importance of managing morale because one unhappy person can make for an unhappy office. Help your staff come together and connect by organizing team building events that encourage people to work together and build genuine relationships. Make it clear to staff that socializing is not only tolerated, it is encouraged as long as it doesn’t interfere with performance. Some people however are simply more naturally positive in their outlook and disposition than others. 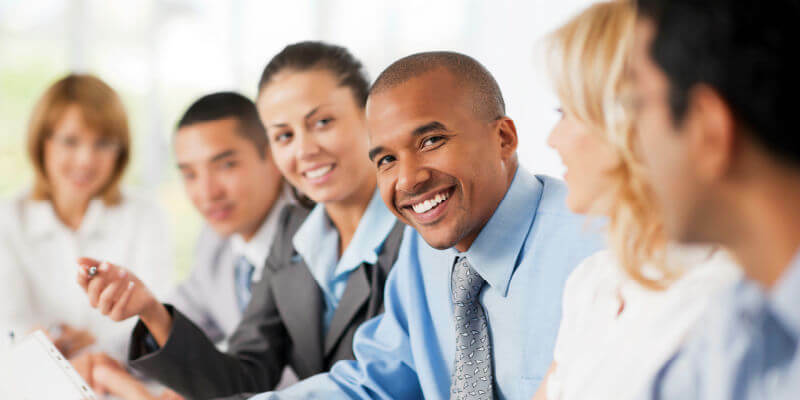 These people are extremely valuable to organizations, especially when there is a general atmosphere of demotivation, demoralization and mistrust. The trick is to seek out these people. Find them, cherish them, and most importantly spend time with them. Place them strategically in teams that could benefit from their sunnier disposition. The formula for building staff engagement is to maximize the extent to which people are using and applying their strengths. Most of us are striving to better ourselves in one way or another, and yet we can often find that we are caught up in our failings, focusing on trying to “fix” parts of ourselves and neglecting those parts of us that are flourishing. Martin Seligman and other researchers in the field have noted that when we are engaging in work, which uses our strengths in new and innovative ways, we experience higher levels of happiness and lower levels of depression. Another influential study suggests that up to 70% of professionals who actively utilize their strengths on a daily basis reported feeling more engaged and energized by their work. Given that countless scientific studies have highlighted the fact that we are at our best when engaging in our strengths, it seems counterproductive to be liberal with the criticism yet sparing with the praise. Start meetings with an opportunity to share success stories – big and small. Give people the opportunity to share their successes, achievements and accomplishment with you, as well as sharing your own. Don’t assume that everyone knows their own strengths or that they are the same as yours. Recognize and let go of the assumption that simply because you find something easy everyone else should, and it will help you to better understand your colleagues and work together more productively. Playing to your staff’s strengths rather than their weaknesses not only impacts their intrinsic motivation, but also the company and organization at large. To identify a person’s strengths Professor Seligman’s team developed the VIA Inventory of Strengths. Adam Grant, author and business school professor at Wharton, devised an innovative experiment into team productivity. Working with call center staff employed to canvass donations for university scholarship funds, he arranged for staff to meet with an actual beneficiary of a scholarship. The meeting was only five minutes long- just enough to ask some questions and put a face to a name. This team went on to raise three times more money, and record consistently longer and more engaged conversations with potential donors, compared with a control group. When people see how their efforts have a genuine impact on the lives of others, even mundane work becomes more rewarding. Leaders can build achievement in their people by involving a person’s strengths in future discussions about organizational goals. Tell me about a previous achievement of which you are genuinely proud. It may or may not be work related. A time when you really outdid yourself? Which top strengths do you think helped you achieve this impressive outcome? Which talents did you demonstrate at the time? (The VIA is useful here). Coaching your staff can be as simple as taking an interest in their strengths and exploring more ways to apply them toward agreed goals or professional development challenges. Like so many other ideas emerging from Positive Psychology this is a genuine win-win. Regularly setting goals at an individual, team and organizational level is critical for productivity and happiness. Goals can provide us with an intrinsic sense of engagement, motivation and connection. But in order to achieve happiness we cannot rely on goal achievement alone. The sustainable source of happiness is enjoying each step that propels you towards the finish line. Research shows that whilst goal achievement creates an initial boost in positivity, the effects do not last long. The trick lies in learning to enjoy each aspect of the journey towards your goals. To apply this, first structure your goals to be SMART (specific, measurable, attainable, relevant to your interests, and time-bound). Second, stretch beyond being smart and make your goals meaningful. Try to connect your goals with your values and strengths, as you are more likely to feel happier and perform better. As a manager keep this in mind when assigning projects to your staff. If you can find the intersection between skills, interest, values and strengths, you are likely to build a team with internal motivation, engagement, and connection, as they thrive on their own motivations and energy. Our ability to celebrate our own accomplishments, as well as those of our colleagues, is another important element that enables us to flourish in the workplace. Rewards activate the pleasure pathways in our brain, even when they are self-induced. Effective rewards do not have to be anything big or expensive or even financial, but can be as simple as taking a break, going for a short walk, or enjoying a snack. A number of studies have found that small rewards can make people more generous, friendly, and happy, as well as more productive and accurate in their work. At Google, employee satisfaction rose an impressive 37% when a small rewards scheme was put in place, suggesting that financial rewards are not the only thing happy, productive employees are looking for. So take note, whilst working hard is important, never allowing yourself to take a break is detrimental to your happiness. Refresh your focus and step away from the screen for a few minutes. As a company you can offer your staff a thoughtful reward program that might offer incentives, such as flexible working hours to show that you genuinely care about their needs. But make sure that the rewards you are offering is in line with what your staff wants. It might be helpful to issue a company-wide survey or put together an employee committee to get feedback about what benefits and resources would most help your staff to feel cared for and considered, both in their work and personal lives. Whilst these strategies and ideas may sound like common sense in many ways they are too rarely acknowledged or practiced in today’s workplaces. By offering positivity, engagement, connection, meaning and acknowledgement you can create an inspired and motivated workforce that are not only happy to be at work but are excited to contribute to the company at large. Bao, K. J. Lyubomirsky, S. (2013). Making it last: Combating hedonic adaptation in romantic relationships. 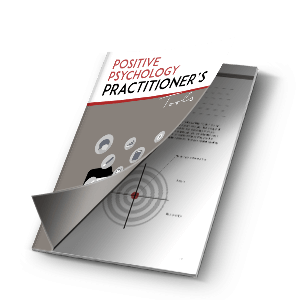 Journal of Positive Psychology –dedicated to furthering research and promoting good practice. Enticott, P. G., Johnston, P. J., Herring, S.E., Hoy, K.E., Fitzgerald, P.B. (2008) Mirror neuron activation is associated with facial emotion processing. Neuropsychologia, 46(11):2851-2854. Forest,J., Mageau, G., Crevier-Braud, L., Bergeron, E., Dubreuil,P., Lavigne,G. (2012). Harmonious passion as an explanation of the relation between signature strengths’ use and well-being at work: Test of an intervention program. Human Relations, 65(9), 1233-1252. Huppert, F. (2008) Psychological wellbeing: Evidence regarding its causes and consequences. State of the Science Review: SR-X2, UK Government Foresight Project, Mental Capital and Wellbeing. Lacoboni, M., Molnar-Szakacs, I., Gallese, V., Buccino, G., Mazziotta, J., Rizzolatti, G. (2005) Grasping the intentions of others with one’s own mirror neuron system. PLOS Biology, 3(3):e79. Lavy, S., Littman-Ovadia, H., Bareli, Y. (2014). Strengths deployment as a mood-repair mechanism: Evidence from a diary study with a relationship exercise group. Journal of Positive Psychology. Linley, P.A., Nielsen,K., Gillett, R., Biswas-Diener, R. (2010). Using signature strengths in pursuit of goals: Effects on goal progress need satisfaction, and well-being, and implications for coaching psychologists. International Coaching Psychology Review. Lyubomirsky, S., King, L., Diener, E. (2005). The benefits of frequent positive affect: Does happiness lead to success? Psychological Bulletin.131(6). 803-855. Lyubomirsky, S. (2008) The How of Happiness A new Approach To Getting The Life That You Want. The Penguin Press Niemiec, R. (2014). Mindfulness and Character Strengths: A Practical Guide to Flourishing. Cambridge, MA: Hogrefe. Peterson, C., Seligman, M., Steen, T., Park, N. (2005). Positive psychology progress: Empirical validation of interventions. American Psychologist, 60, 410-421. Rizzolatti, G., Craighero, L. (2004) The mirror-neuron system. Annual Review of Neuroscience, 27:169-192 Ryff, C. (1989). Happiness is everything, or is it? Explorations on the meaning of psychological well-being. Journal of Personality and Social Psychology, 6. 1069-81. Thank you a great article – We are applying the PERMA model to our workplace by becoming a strengths based and led school. Similar to LOVE WEEK – We regularly have a FEAST! Linda that is awesome! Well done! Really glad you enjoyed it Spozhmay. It’s a very positive article. Just reading it has brought smile on my face. No doubt! It would be joyous experience if applied in the workplace. Thank you so much, i agree, it’s all about applying it. This no doubt was a great read for me in understanding how PERMA could be used at work. I loved the video too, and would like to share my suggestion on incorporating this experiment at hospitals between nurses and patients. I believe it would bring in an awesome degree of change in the environment of people suffering. Sounds amazing Sunitha, what a great idea! dear, it is a good article helps to enhances our thoughts into positively at our works. Great article and vide.. thank you! Our pleasure. Expect more of these videos Yasser!